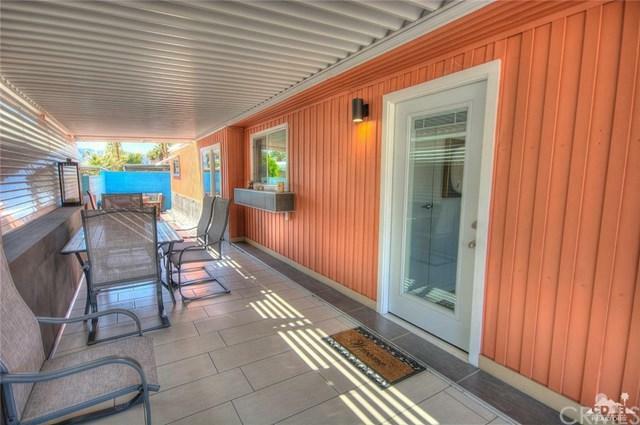 Located in an exclusive gated community 55+. 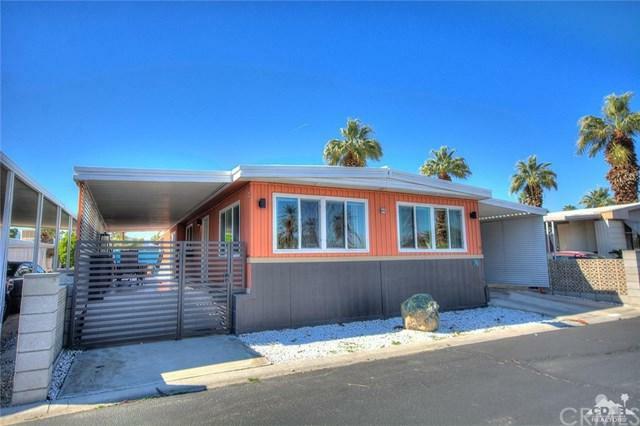 this stunning Mid-Century Classic will take your breath away! Entertainers delight has been lovingly remodeled and upgraded with contemporary finishes while maintaining it's classic details. Entry opens to large living room w/ wood flooring thru out. Formal dining area with built-in glass cabinets. Remolded kitchen w/Stainless Steel appliances, Farmers sink, and custom counter tops! Separate family room with built-in bar area w/sink. King size beds in both bedrooms. The guest bath has custom counters and shower walls. Master bath w/ custom sink and reglazed shower. 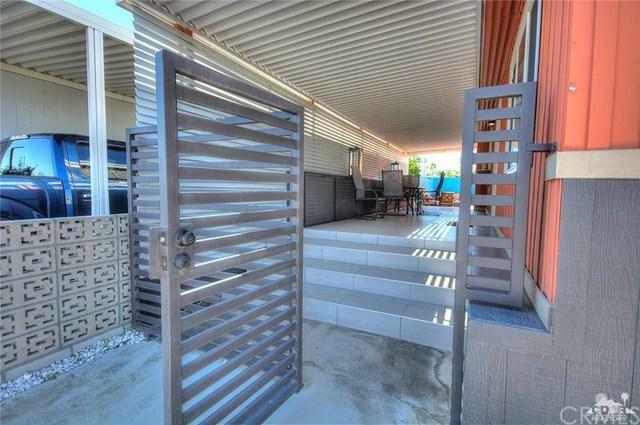 Uniquely styled iron gate gives privacy and enters you into private covered outdoor patio. There's also a large separate laundry room. 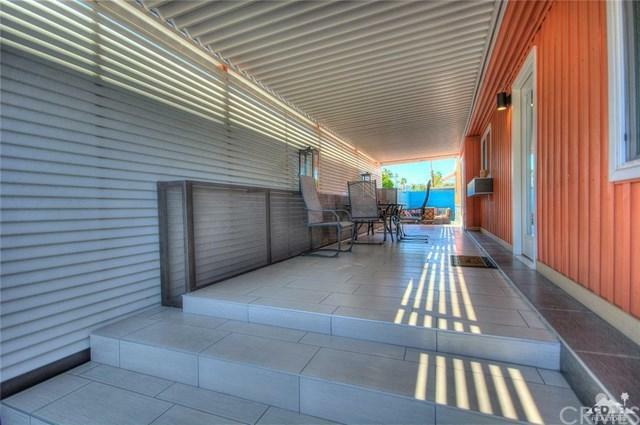 Continue around the rear of the home with private outdoor patio area with There's also an area for your animals! Fenced and artificial turf. All decorated in contemporary designs All furniture included with sale.